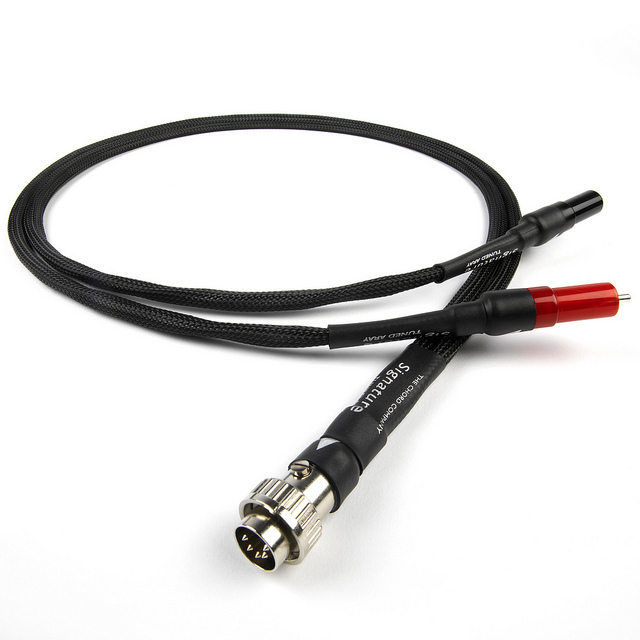 The Chord Signature Tuned ARAY DIN cable is available in all the usual configurations, each one using Tuned ARAY technology to produce a range of DIN interconnects that throw a new light, not just on the performance of your system, but more importantly on your music as well. 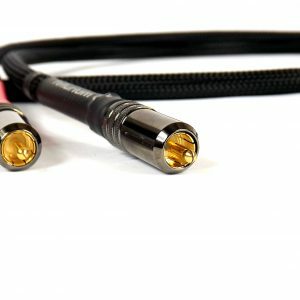 Used between source and pre-amp and pre and power amp as well, the Signature Tuned ARAY DIN interconnect simply opens up the real performance of your system and lets the music pour out. There are all the things that a high-fidelity system should do, but with an incredible musical intensity that will exhilarate and involve in equal measures. 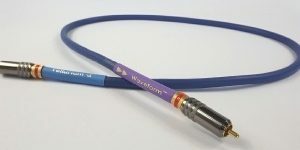 Chord Signature Tuned ARAY analogue interconnects all use the same unique conductor formation, developed for Chord’s flagship Sarum Tuned ARAY interconnects. Each Signature conductor is built using high quality silver-plated conductors. Insulation is PTFE and the shielding consists of two layers of high-density silver-plated braid that is effective over a very wide frequency range. The shielding is covered with a white PTFE precision applied outer extrusion. 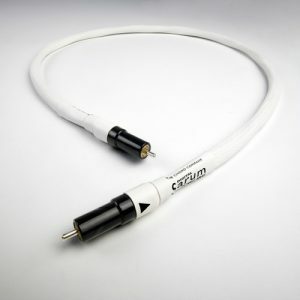 Like Sarum, the Signature Tuned ARAY DIN cable is produced to extremely tight tolerances. 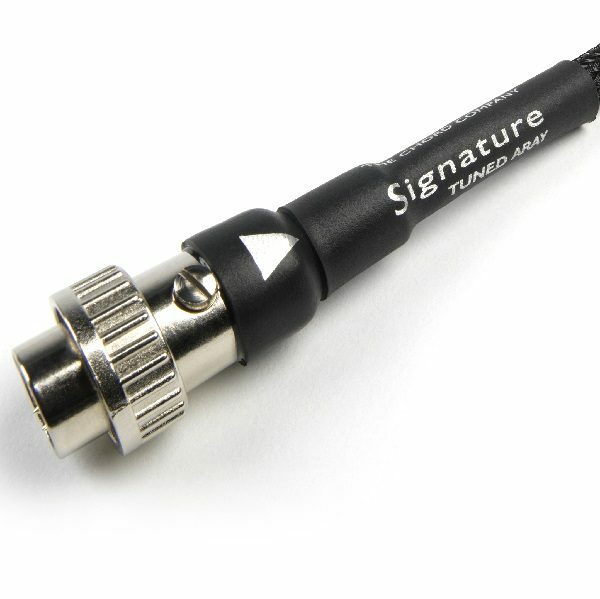 The Signature Tuned ARAY DIN cable is fitted with a specially adapted DIN plug. This requires careful machining at the rear of the plug casing and a high-degree of precision assembly during the build process. The signal contacts are silver-plated and prior to the fitting of the machined plug casing, a PTFE layer is applied. If the Signature Tuned ARAY DIN cable is in DIN to RCA or RCA to DIN configuration, Chord’s ultra low-mass RCA plugs are used. The silver-plated centre pin is set into a PTFE insulation block. The low-mass silver-plated shield/return connector is fitted and a PTFE layer applied, before the precision-machined, vibration-damping acrylic plug casing is fitted. Chord’s own beautiful acrylic plug surrounds are individually machined for them by a British company that specialises in high-precision acrylic parts for use in the medical industry. Do not underestimate the profound improvements to performance that Tuned ARAY technology brings. The Signature Tuned ARAY DIN is exceptionally transparent, both dynamically and particularly in terms of detail, timbre, and pitch. 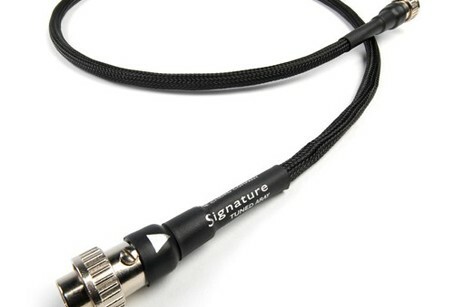 This is an interconnect that can be used with almost any level of equipment and will deliver music with high levels of detail and an extraordinary level of cohesiveness. 1 metre – DIN to DIN – Purchased to connect Naim CD player to Naim pre-amplifier. Replaces Chord Anthem RCA to RCA. This interconnect really opens up the recording in my view. For me, it digs deeper into the mix and I can hear previously unheard instruments or voices which are now more apparent in the mix without spoiling the overall musical presentation. 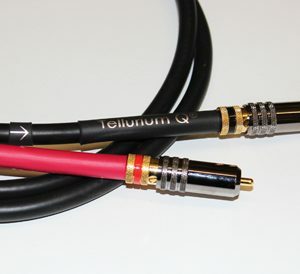 The cable retains Naim’s distinctive musicality and with improved bass control. I was blown away by the difference such a relatively simple change made to my enjoyment of the music. I am digging out CDs I hadn’t played for ages just to hear how they sound.